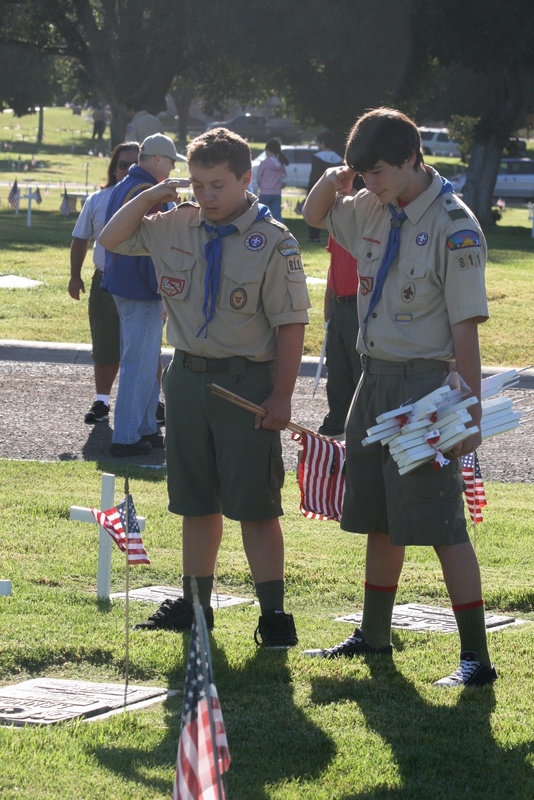 Boy Scout Troop 811 is located in Brea, CA and is sponsored by the St. Angela Merici Catholic Church. We are located within the Portola District of the Orange County Council. 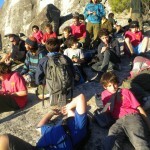 Troop 811 provides boys aged 10- 18 with opportunities to camp, volunteer, and learn. Our Scouts learn a multitude of outdoor skills and life skills, practice leadership, and develop confidence and self-reliance. 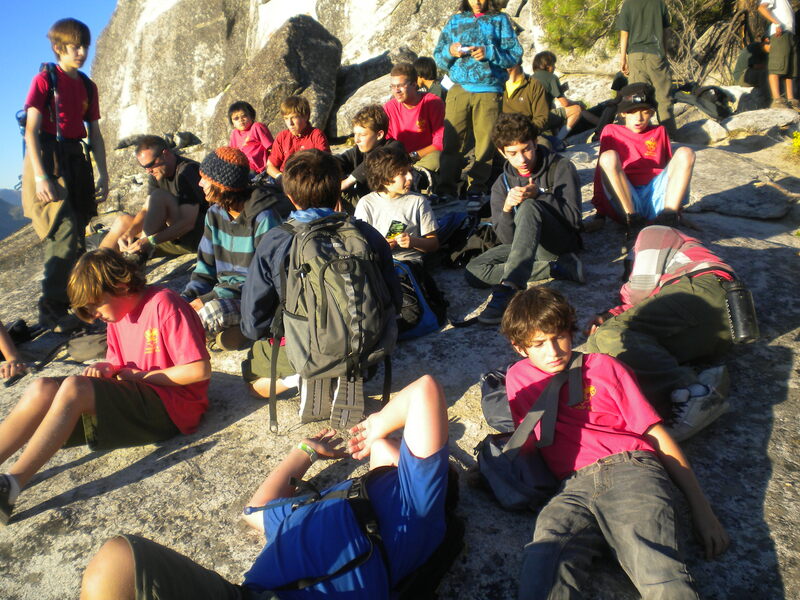 Our Scouts have camped on Catalina, attended the 2010 National Boy Scout Jamboree in Virginia and hiked to the summit of Mount Whitney! Boys are presented with 20 to 30 camping nights per year with a good balance of overnight “car camping” to multi-day high adventure backpacking trips. Designated a National Quality Unit or a Journey to Excellence Gold Unit every year since at least 1999, Troop 811’s Scouts also contribute to St. Angela Merici and the community. They regularly serve at Lenten Fish Fries and help out at Summerfest. They decorate hundreds of veteran’s grave at Memory Garden Memorial park. A key measure of a quality Scouting program is the number of boys who choose to remain in the program beyond the first year or two. 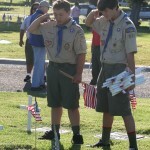 Since 1984, Troop 811 has had over 80 boys achieve the rank of Eagle scout – the highest rank a Scout can obtain. Recent Eagle projects include creation of a prayer garden, major landscaping, fencing, the message board in the parish plaza and $5000 worth of lighting improvements for the school. We are thankful to our parish for its continued support of Troop 811. We also have a strong adult leadership base with nearly a 1:2 ratio of trained leaders to scouts, many of whom are district or council award winners for their efforts in scouting. Boy Scouting is for boys who are 11, or are at least 10 years old and have completed the fifth grade or have earned the Cub Scout Arrow of Light Award, through 17 years old. Boys experience a vigorous outdoor program and peer group leadership with the counsel of an adult Scoutmaster to achieve the BSA’s objectives of developing character, citizenship, and personal fitness. Camping, fun with friends — and more. It’s the adventure of a lifetime.